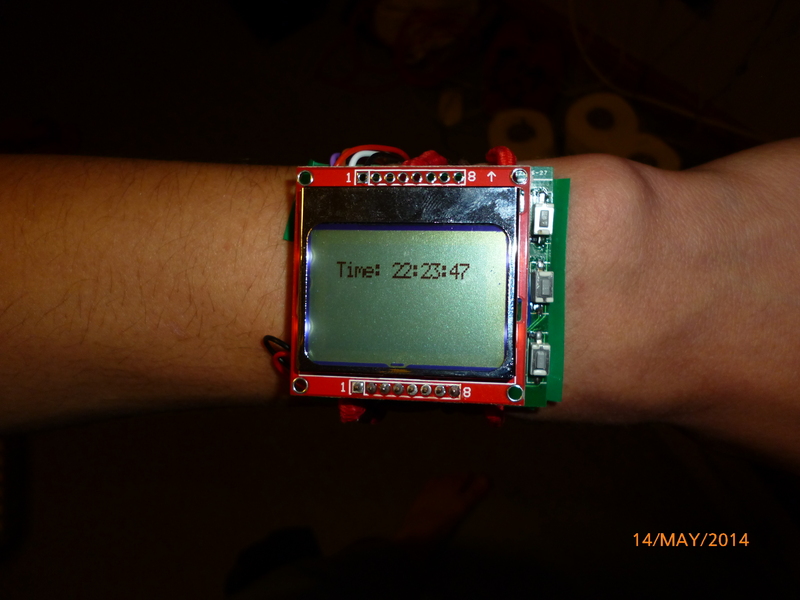 One of my original sources of inspiration was from an awesome youtuber’s product (Dave Jones and his μWatch – Youtube: http://goo.gl/OjkGjg, the μWatch itself: http://www.calcwatch.com/index.html). This guy is absolutely brilliant and some of his youtube video’s are utterly hilarious! I’ve got him to thank for his brilliant video on product design on helping me design both the newer versions of the Phobass and this smartwatch itself. I’ve currently got MK2 of the watch in the design pipeline which should hopefully reduce the thickness 10mm! To put this into perspective, the current prototype (with removable LCD) has a height of 15-16mm though this will be reduced when a few more parts arrive in the post! Talking of which, I’ve now bought a watch strap (really cheap at £1.99! ), along with a 6 pin right angle header for easy access to pins required for programming/charging. I’m hoping to take Dave’s route of creating a few batches and seeing if it would be commercially viable to sell them! I’d be selling them open source with all source code provided and the watch would come fully assembled with a free STLink V2 for users to program the watch along with a wall charger. I’d also be hoping to sell them around the “Dave” price of ~£69, I think this sufficiently pays me for construction, along with parts.